1 What if You Cannot Talk or Sign a Will? Generally, for a will to be valid, one has to communicate their wishes in a will and the will has to be signed. This begs the question as to how someone who cannot speak or sign a will can execute a valid will. The court addressed this in Estate of Luce, No. 02-17-00097-CV (Tex. App.-Ft. Worth 2018), in a case involving a will executed by an estate planning attorney for his quadriplegic client who could not speak or sign the will. The decedent was in an ATV accident that left him a quadriplegic. While in the hospital he went into respiratory failure and was intubated, leaving him unable to speak. He was still alert and oriented as to person, place, and time, however. Later that day, attorney Kevin Ferrier came to the hospital’s intensive-care unit to meet with Michael—who was still intubated and unable to speak—about making a will. Ferrier met with Michael alone and determined Michael’s wishes through a series of leading questions that Michael answered by blinking his eyes to indicate “yes” or “no.” Through this system, Ferrier was able to determine that Michael wanted to revoke all prior wills and wanted to leave his entire estate to Melissa and Brandy. Ferrier then went back to his office, drafted the will in accordance with Michael’s wishes, and returned to the hospital. He read the will to Michael privately and then read the will to Michael again in front of a notary and two witnesses. In the presence of Ferrier and the witnesses, the notary signed the will for Michael because he was physically unable to sign or make his mark. Then, while still in Michael’s presence, the witnesses signed the will and the notary notarized their signatures. Throughout the entire execution process, only Michael, Ferrier, the two witnesses, and the notary were in the hospital room. The decedent died a month later. Just prior to the ATV accident, the decedent had a divorce proceeding that was pending. He was not officially divorced from estranged wife. The estranged wife filed an application to probate an older will. The decedent’s sister filed an application to probate the new will that was executed just before death. A jury trial was conducted to resolve the will contest. 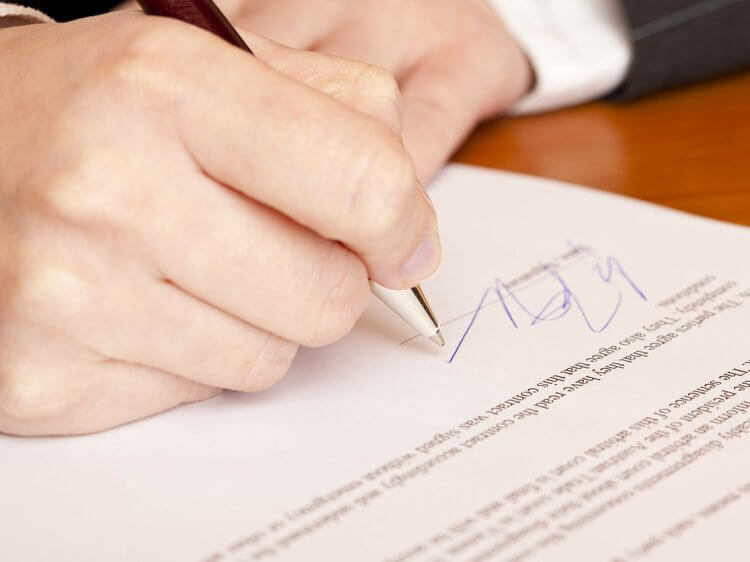 Texas law requires a will to be signed by the decedent or another person on his behalf. In the later case, the signature has to be made in the decedent’s presence and under his direction. The jury in this case concluded that the estate planning attorney signed the will on Michael’s behalf in his presence and under his direction. Thus, the jury concluded that the new will was signed with testamentary intent and executed in accordance with the statutory signature requirements. The estranged wife filed an appeal, arguing that the evidence is legally and factually insufficient to support the jury’s finding that Michael directed Hobbs to sign the 2015 will. It is undisputed that Michael was unable to speak at the time the 2015 will was executed and that because of his quadriplegia, he could not sign his name or make his mark. Ferrier testified that when he arrived at the hospital, a nurse told him that Michael was able to communicate by blinking, so Ferrier and Michael established a “signal system” in which Michael would blink once to answer “yes” and twice to answer “no,” or vice versa. Even though Ferrier could not remember at trial which system he and Michael had established, Ferrier testified that he was able to communicate with Michael based on Michael’s blinked responses to a series of leading questions. Through these questions and Michael’s blinked responses, Ferrier established an attorney-client relationship with Michael and determined that Michael wanted to make a new will that revoked any earlier ones. Signature affixed by notary in the presence of ____________ (insert name of disinterested witness), a disinterested witness, under section 406.0165 of the Texas Government Code. The witness and notary to the will execution testified that the blinking system was explained to them and that the decedent used it to convey that he wanted to execute a will. The witnesses could not remember whether one blink was for “yes” or for “no.” This was the basis of the estranged wife’s appeal. Because the jury accepted this evidence and the appeals court was only asked to review the jury’s findings, the appeals court upheld the findings. The court noted that it would reach a different conclusion if the jury had refused to admit the will. In that case, if an appeal had been taken by the sister, the court have to apply Texas law which could view the lack of certainty as to the “yes” or “no” system was fatal for the validity of the new will. As estate planning attorneys in Houston, we have worked on estates where planning was not done or the planning did not work as intended. This provides us with a unique perspective in preparing estate plans that help carry out the clients intended goals.